Albert Richard Casavant was born February 13, 1917, in Everett, Massachusetts. His family eventually settled in Warren, Ohio, where Casavant graduated from Warren G. Harding High School in 1935. During his secondary career he played trumpet in the band and orchestra as well as organizing and leading a basketball pep band as early as ninth grade. Casavant also performed with 6-7 community bands outside school, such as Elk’s Club, V.F.W. and American Legion groups. Upon graduation, Casavant chose to attend Tennessee Military Institute in Sweetwater, Tennessee, studying business administration. While a student there he met Sweetwater native Mary Nancye Ewing, and the two were married in 1939. After graduating from TMI in 1938 he stayed on at TMI as an instructor while attending the University of Tennessee. Upon arriving as a student at TMI in 1935, Casavant was given the responsibility of leading the school’s regimental band. Later, in 1938, he began the first band program at McMinn County High School in nearby Athens, Tennessee. Casavant continued to teach in both Sweetwater and Athens until 1943. Casavant originally moved to Chattanooga in 1943 to work as an estimator at a steel foundry, but found he could not stay away from music. He played professionally in several groups including the Chattanooga Symphony and Opera. He was convinced by colleagues to join the Chattanooga School System in 1944 teaching junior high instrumental music and assisting at Chattanooga High School (commonly known as City High). During this time (1944-1947) Casavant also attended the University of Chattanooga, where he received Bachelor of Science and Bachelor of Arts degrees. 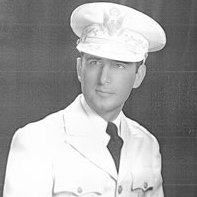 Casavant took over the City High program in 1950 from his predecessor, Colonel Ira Summers. At that point in time the band was officially an R.O.T.C. unit, and one of the first changes was the establishment of a credited period for band, as well as the purchase of published concert literature and instruments. In addition to being responsible for the inclusion of music instruction at the elementary level, Casavant also started band programs at nearby schools in East Ridge and Rossville, Georgia. Under Casavant, the City High School Band became incredibly successful in concert, marching and jazz genres, and enjoyed a reputation of excellence. During his tenure at City High, A.R. Casavant developed a style of marching drill that would become known as Precision Drill. Although the name and concepts were not new, no one had combined, interpreted, and presented them in this fashion. It was a radical departure from anything being done at the time, and what are now considered simple maneuvers, such as a “Step-2″ drill, had never been witnessed by audiences or judges. Casavant set about training the City High Band in his new marching style in the preparation for the 1953 marching contest in Bristol, Tennessee. When the 64 member City High Band (later known as the “Perfect 64″) stepped off the goal line, they received an unprecedented score of 99.6. The next 4 years that score was a perfect 100. In fact, one year, Dale Clevenger, a former student and Principal Horn of the Chicago Symphony, retells that Glenn Cliffe Bainum, one of the adjudicators, immediately marked a 100 on his comment sheet, and sat back so he could enjoy the show. Each year, more publicity surrounded Casavant and the “Chattanooga” style of marching until in 1955, the band was asked to perform on national television for a Washington Redskins game, and directors across the country who had heard of the City High Band now got to see what was actually happening on the field. At the end of the 1958-59 school year, demand was so great for Casavant’s services around the country that he left City High School to pursue clinical teaching full time. Between 1959 and 1979, Casavant authored forty texts on drill techniques, including Precision Drill and the Exhibition Marching Series. In addition, he also produced over ninety drill routines for Southern Music, the majority of which had the musical arrangements provided by composer and arranger Charles Carter. After earning his first degree in music from VanderCook College of Music in 1952, he found himself back at VanderCook in 1957 in the role of the teacher, and continued teaching summer workshops in marching band techniques until 1983. Because of his distinguished career and service to the school, Casavant was awarded an honorary doctorate in 1988. An outgrowth of the VanderCook summer workshops was the Casavant Calvacade, the vehicle by which Casavant would obtain his greatest visibility. The Calvacade was a week-long workshop presented on college campuses and other sites throughout the country. These started in the summer of 1959 and continued through 1979, when Dr. David Wells bought the rights and continues to conduct four weeks of clinics each year. In addition to his work in the US, Casavant was invited repeatedly to England and Ireland to work with military and civilian bands, and in 1980 he and his wife Nancye embarked on an eight-week world tour to work with school, community, and military bands in Australia, England, Ireland, Hong Kong, Japan, New Zealand, South America, and Germany. Casavant’s company, ARC Products, was originally started in 1957 for the purpose of publishing books, but later served as the source for innovative products Casavant produced for marching band. Casavant obtained five U.S. Patents for his inventions, such as tuba and percussion carriers, and a detachable leg rest for snare drums, and produced and sold them through ARC Products until the late 1980’s. A.R. 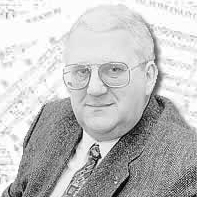 Casavant has perhaps had more impact on the world of marching band than any single individual in history. Today his books, theories, and routines are common to all music education programs and used extensively as teaching examples, and there is literally no area of the marching band genre in which his work has not influenced. A.R. Casavant died on March 24, 2002 at the age of 85, in Chattanooga, Tennessee, where he continued to reside throughout his life. He is survived by his wife Nancye, and his five children. Interestingly enough, three of the five Casavant children are university professors or researchers, and they teach in fields that Casavant himself studied. Richard is Dean of the School of Business Administration at the University of Tennessee of Chattanooga, Charles is professor of music and director of the marching band at Indiana University of Pennsylvania, and Carol is a microbiologist at the University of Iowa. James F. “Pete” Evans was an educator for thirty-four years, with thirty-one years as a band director and three years as a superintendent. His numerous honors and awards include Tennessee Education Association’s Distinguished Classroom Teacher of the Year, Tennessee Governor’s School of the Arts Outstanding Teacher, Tennessee Music Educator’s Association Administrator of the year 1998, President of TMEA, President of West Tennessee School Band and Orchestra Association for two terms, Tennessee Bandmasters’ Association President, Milan Young Man of the Year, Distinguished Service Award for the City of Milan, and Career Ladder III Teacher since inception. Mr. Evans’ numerous professional affiliations include Phi Beta Mu National Honorary Music Fraternity, Music Educators’ National Conference, Phi Mu Alpha Honorary Music Society, Tennessee Education Association, and the National Education Association. Mr. Evans’ service to education includes SACS evaluation of Middle Schools and High Schools for twenty-five years, Academic Excellence Banquet co-founder, Steering Committee Chairperson for Milan High School’s ten year SACS evaluation, five year follow-up, and Chairperson of the 1996 SACS Belief-Mission Committee. Mr. Evans’ service to Tennessee included Music in Our Schools State Chair, All-State Jazz Band Chair, All-State Audition Chair, Regional Jazz Band Chair, and a member of the TMEA Board for twelve years. In 1995, Mr. Evans served on the three member State Department of Education Committee for the purpose of developing the Music Curriculum for grades nine through twelve in correlation with the National Standards for the Arts. Mr. Evans held a Bachelor of Fine Arts degree from Arkansas State University and a Master’s in Music Education and Administration from the University of Tennessee. He had subsequently done postgraduate study at the University of Southern Mississippi, VanderCook School of Music, and the University of Kentucky. Mr. Evans was actively involved as a clinician, judge, drill designer, music choreographer, and lecturer in the Southeast. Mr. Evans was born February 2, 1939 in Parsons, TN. He died on November 29, 2000. His companion in life was Janie and together they had two children: Darrell and Marie.